Why Choose Afton Endodontics for Endodontic Retreatment? In a perfect world, every tooth treated with root canal therapy would go on to heal successfully and last for the rest of the patient’s life. Unfortunately, this doesn’t always happen. Root Canal treated teeth may become pained or diseased again months or even years down the road after their initial treatment. Thankfully, experienced endodontic specialists like Dr. Gell and Dr. Watts can give these teeth a second chance. Endodontic retreatment is designed to reinvigorate healing efforts and rescue the ailing tooth. If you are experiencing concerning pain or discomfort in a tooth that’s previously undergone root canal therapy, don’t hesitate to contact Afton Endodontics in Concord, NC for assistance. Why Do I Need Endodontic Retreatment? The canals were overly narrow or curved and could not be treated properly. There was complicated canal anatomy that went unnoticed during the initial root canal. Salivary contamination found its way inside the tooth, despite the placement of a restoration. The placement of a dental crown or other restoration was delayed for too long. New decay has exposed the filling material to infectious bacteria. The tooth was fractured or otherwise injured. How Does Endodontic Retreatment Work? 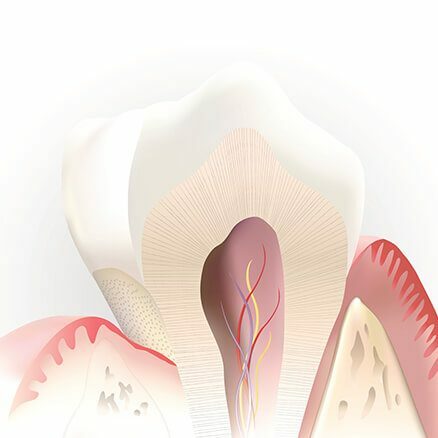 After thoroughly assessing the tooth in question, our endodontists will carefully reopen the structure in order to gain access to the filling material. After eliminating it from within the canal, the area will be cleaned thoroughly once more, and our state-of-the-art microscope will help us discover any abnormal anatomy or previously hidden root canals. Once we’re satisfied that the canals are fully cleansed, they will be covered with a filling material and sealed to prevent further exposure to infection. If you have overly narrow root canals or if they’re blocked in any way, endodontic surgery may be recommended for a more confident seal. Finally, patients will need to return to their general dentist in order to have a new dental crown or similar restoration crafted. This will replenish the tooth’s appearance, natural shape, and ability to function. Is Endodontic Retreatment the Best Choice for Me? Whenever possible, we strongly encourage patients to choose endodontic retreatment because the only other available option is the extraction of the natural tooth. Preserving your original smile will always be preferable to undergoing costly, time-consuming replacement with dental implants, bridges, or dentures. Because you’ve already invested in rescuing the ailing tooth with root canal therapy, this treatment can help you finally regain the lasting oral health and function you deserve for many years to come.